The City’s 14 miles of beaches will reopen today for swimming after being closed this week as a result of Tropical Storm Hermine. 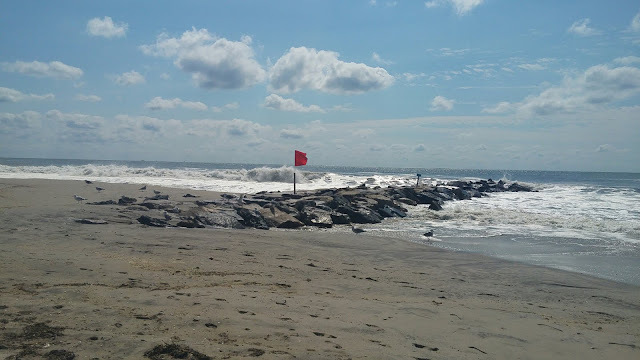 While the beaches remained open the public was prohibited from entering the water since Sunday due to strong riptide conditions. For the most part the public complied with the water ban however there were a few scattered incidents. In Rockaway, home of the city’s only designated surfing areas some surfers took to the waters despite stern warnings from NYPD and park police officers. The city has not provided the number of summons issued for non compliance, however at least four surfers were ticketed for refusing to get out of the ocean on Sunday according to a report. The surfers said they would fight the $ 80 tickets. 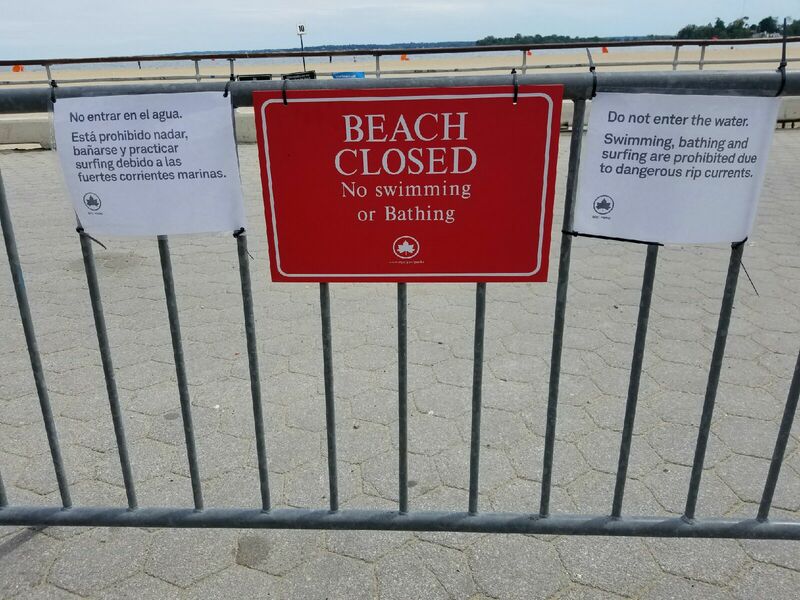 Signs at Orchard Beach, the Bronx's only public beach. 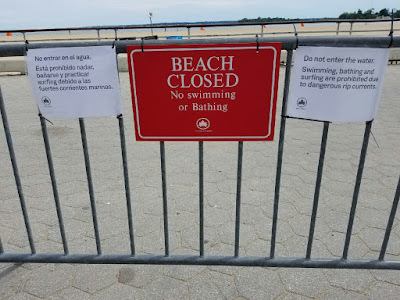 Also on Sunday a reportedly intoxicated swimmer had to be rescued by two EMTs in Coney Island near W. 12th St. shortly before 8 p.m. One EMT dived in while her colleague tossed her the rope. They were both pulled back in. The swimmer was taken to Coney Island Hospital. The city extended the beach and pool season by a week and will remain open through Sunday, September 11.